The magazine publisher Condé Nast is undergoing a transformation, hiring a new generation of editors to reimagine its upscale print publications, including British Vogue, Architectural Digest, Vanity Fair and Glamour, as digital destinations with multicultural, multiplatform appeal. The weight of expectations may fall heaviest on Vanity Fair, long known for its glossy coverage of Hollywood, celebrity culture and politics. To lead the magazine into the future, Condé Nast recently hired Radhika Jones, 44, formerly editorial director of the books department at The New York Times. Jones takes over from Vanity Fair’s flamboyant editor-in-chief and Hollywood ringmaster, Graydon Carter, 68. Jones will have to confront a problem facing all monthly magazines: The speed of the political news cycle has made it difficult to keep up with the foibles of the Trump administration, or the latest celebrity accused of sexual harassment. Even web editors are having trouble staying current. On top of that, there seems to be less of an audience for ogling rich, powerful globalists. The 1 percent might simply be out of fashion. Some readers, having grown accustomed to the style of photographers like Annie Leibovitz and the endless group shots of movie stars, have said Vanity Fair has grown too predictable. It hasn't won a National Magazine Award since 2012, when Christopher Hitchens, who had died the year before, won for a series of columns. "When you pick up Vanity Fair for the last couple of years, you feel like you've seen that issue before,” said Peter Bart, a former editor-in-chief at Variety and now a columnist at the website Deadline Hollywood. “It happens to every publication." Bart suggests the magazine spend more time chronicling the ascension of women into Hollywood power jobs in the wake of the #metoo movement and the Harvey Weinstein scandal. He also said Vanity Fair will have to document the economic shift taking place in the film industry. "Post-consolidation and post-streaming, it is a very different entity," he said, referring to the merger of the Fox and Disney studios, and the increasing movement of entertainment onto the internet and away from theaters. The Hollywood that Radhika Jones will get to know is very different from Graydon Carter's, Bart said. Jones is not as well-known in the powerful circles that Carter has cultivated: movie studios, Wall Street, Washington and the capitals of Europe. Colleagues describe her as unpretentious and partial to karaoke, Charles Dickens, and, as she told Vanity Fair in an interview, National Geographic and the television series “The Americans.” She grew up in Connecticut and lives in Brooklyn with her husband, an architect, and their young son. Jones, whose first issue as editor will appear in April, has given little indication of where she plans to take the magazine. Her former boss, Rick Stengel, who was managing editor of Time and is now a strategic adviser to Snapchat and a contributor at MSNBC, says Jones was a very capable colleague as Time’s deputy managing editor, with a particular eye for the visual. “Like any new job, you have to preserve what is working and try to create new things that will not alienate the old audience,” Stengel said. "She can use Vanity Fair as a showcase for new ideas, new talent, new technology and how culture is changing and evolving. That's very different than what Vanity Fair had become, which was more backward looking than forward." Tina Brown, a former editor of Vanity Fair, said the magazine needs a greater diversity of voices. Brown, who now runs the "Women in the World" summit, suggested the magazine has been too captive to Hollywood, as even some high-flying Hollywood public relations people acknowledged. Brown recommended more stories on TV shows instead. “TV is where the action is,” she said. The New Yorker, also owned by Condé Nast, has been publishing a good deal of hard-hitting journalism on the entertainment industry. Vicky Ward, who was a contributing editor at Vanity Fair for 11 years, said the magazine should do more long-term investigative pieces. She added: “Her biggest challenge is that it is not just a magazine, it is a world, and it was Graydon's world. So I look forward to seeing what her world is. Most successful magazines are not just words on a screen and photos; they are the personality they reflect." 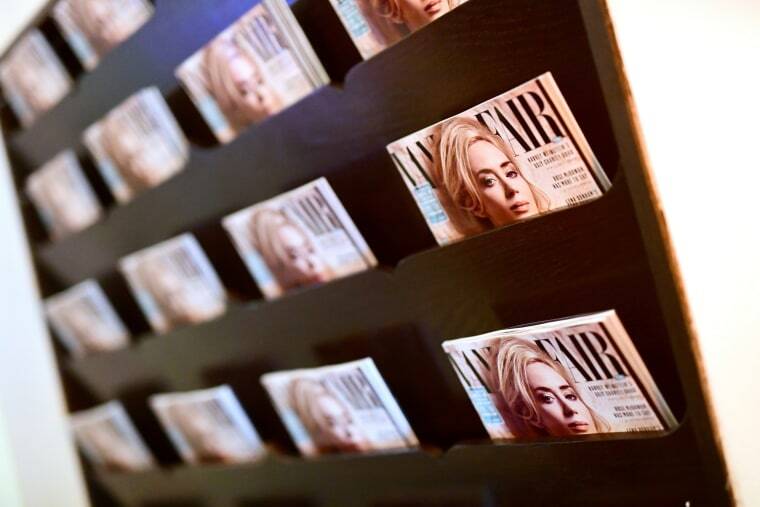 Vanity Fair’s print circulation remained flat at 1.2 million copies for the first half of 2017, compared to the same period in 2016, according to data the company provided to the Alliance for Audited Media. Second-half figures are not yet available. According to the ad agency Magna Global, advertising in the overall magazine sector is expected to drop 13 percent in 2018, with overall print advertising declining 14 percent in 2017 to $18 billion. The company will have to come up with ways to plug that gap and one solution is obvious: subscription revenue. The annual cost of a Vanity Fair subscription is $12, compared with The Economist, which is $152. The events division is growing beyond the parties and could become a bright spot. A Founders Fair, established for entrepreneurial women, is in its second year, while its annual New Establishment Summit continues to grow. Other smaller events bearing the Vanity Fair name may be cut back, one person with knowledge of Condé Nast said. Beyond the content, Jones will face other challenges: navigating the sometimes catty world of Condé Nast, and living up to the image-conscious expectations of luxury beauty and fashion companies.